HOW STATE GOVERNMENT IN THE STATE OF CONNECTICUT KEEPS ITS JACKBOOTS ON THE NECKS OF CONNECTICUT CITIZENS! I have often wondered how Connecticut manages to be a state with such broad inequities. It is the first or second wealthiest state in the Union and yet its capitol, Hartford, is one of the poorest and has one of the highest infant mortality rates in the nation. We have extraordinary divisions between the races here in Connecticut, with African-Americans, Hispanics, and white folks often living exclusively in their own respective communities, and at times expressing real fear if not outright ignorance of one another. Many white people are hunkered down in their wealthy upscale communities while considerable numbers of people of color are restricted to Connecticut's economically challenged cities. We have the Institute of Living which has an excellent reputation in regard to the care and treatment of the mentally ill, and yet at the same time we have some of the highest, almost barbaric, rates of the use of restraints and seclusion among children, adults, and the elderly, of anywhere in the country. We have all these movie stars and writers living in our environs, the CEOs of major corporations, and yet the State cannot even be bothered to be in compliance with Federal ADA law and regularly excludes its most vulnerable citizens--those with disabilities--from inclusion in its communities. And now we have Connecticut Family Court and DCF running amok in respectable communities snatching children from fit parents and bankrupting them as those parents desperately seek to get them back! How does the State of Connecticut get away with these kinds of economic and civil rights injustices? It does so because state government--i.e. the Governor, state officials and state agencies--have developed three powerful lines of defense against being held in the least bit accountable to the citizens who live in this state and support their existence. As a result, no matter how much Connecticut citizens challenge state government and those who work for it, the State of Connecticut is essentially invulnerable to attack and has an awe inspiring capacity to stifle all dissent and cannibalize its citizens. In short, Connecticut is called "the Land of Steady habits" not because it is particularly reliable, but primarily because our State government rules with an iron fist and resists any kind of political pressure for change and reform from its citizens. The end result is that we have a stagnant economy and a social scene that even to the present day retains the very same qualities that made it the inspiration for the setting of Ira Levin's book, "The Stepford Wives". So what are these three lines of defense that fortresses Connecticut State government from its people? First, there is the Office of the Claims Commissioner. 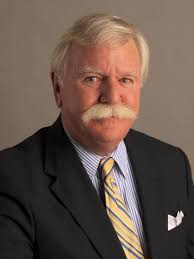 If you want to sue the State of Connecticut for some wrongdoing, you have to obtain permission from the State of Connecticut's Claims Commissioner, Mr. J. Paul Vance. What this means is that the State of Connecticut is legally immune from liability and from suit without its consent and cannot be held legally liable for any damage it may have caused, unless a single individual, the Claims Commissioner, agrees. And the Claims Commissioner is appointed by the Governor with the approval of the General Assembly, so how likely is he to agree to have the State sued! The authority of the Claims Commissioner is rooted in the concept that the State has "sovereign immunity" a British concept that we inherited from the Colonial days. It originates with the phrase, "The King (sovereign) can do no wrong", unless the Claims Commissioner decides to waive that immunity . The position of Claims Commissioner in the State of Connecticut originated in the 1970s and is a system unlike that of any other state. Other states might have Claims Commissions or Boards, while the vast majority simply allow you to go ahead and sue the State without having to request permission. Only Connecticut puts the entire responsibility in the hands of one person. This makes it extremely difficult to hold the State of Connecticut accountable for its wrongdoing. A second way that State government and its officials are able to stonewall Connecticut citizens is through the State of Connecticut Office of the Attorney General. Basically, the State of Connecticut maintains an approximately 300 strong Office of the Attorney General full of attorneys and paralegals whose job it is to defend State Officials and State Agencies from any challenges from Connecticut Citizens. Not only is it supposed to provide legal services to State Government and all its agents and agencies, it is also required to provide free legal opinions to all of those entities. This means that any time the director of a State Agency wants to proceed with a particular policy (no matter how illegal!) he or she can get in depth legal advice on how to evade and avoid any inconvenient statutory obstacles. In other States throughout the country, the Offices of the Attorney General are required to defend the ADA or Civil Rights of its citizens. In contrast, in the State of Connecticut, the Office of the Attorney General is mandated to protect the State when citizens complain that the State or a state official has violated their ADA or Civil Rights. This means that the State of Connecticut has almost unlimited taxpayer provided resources to protect itself against any suit a citizen might bring against it, i.e. if the State violated his or her constitutional rights, while that citizen may only be able to afford a single attorney, or may be forced to represent him or herself. Keep in mind that the vast majority of federal lawsuits conducted against the State of Connecticut would ordinarily take multiple years to resolve. How many individual citizens can afford that, and how many have the emotional stamina to sustain such a fight. The third and final line of defense that the State of Connecticut maintains to defend itself against any accountability towards its own citizens is its grand juries. Grand juries are a time honored tradition in the United States. These juries usually consist of twelve randomly selected citizens who conduct hearings into whether a person committed a crime--indicting grand jury. For instance, in Ferguson there was a grand jury inquiry into whether Office Darren Wilson committed a crime in the death of Michael Brown. In that case, the grand jury chose not to indict Officer Darren Wilson with a crime. At the same time, there is what is called an investigative grand jury that has subpoena powers to conduct an investigation into whether there is official corruption in state government or local mob activity. Again, in the vast majority of states, such grand juries consist of a group of regular citizens. However, in the State of Connecticut, investigative grand juries consist of a judge, judge referee, or a three-judge panel. So again, in Connecticut ordinary citizens are removed from the equation and the decision making authority has been transferred to a privileged class of judges who owe their positions to the Governor and the Connecticut General Assembly that appointed them, not Connecticut citizens. Altogether these three institutions--the Office of the Claims Commissioner, the Office of the Attorney General, and the Investigative Grand Juries led by Judges, not citizens--create an impregnable fortress behind which State Officials, State Agencies, and people of influence can wield their authority at will without any accountability or any repercussions. This is ultimately the reason why Connecticut citizens, particularly family court and DCF victims, have no recourse when the State decides to steal their children, drive them into bankruptcy and deprive them of their human, constitutional, and civil rights. It also explains why the State of Connecticut is culturally dead, economically stifled, and an intellectual and social backwater. Scholars, innovators, thinkers are its greatest export.